Welcome to The Estates on 3rd, a new construction gated development which offers this stunning abode that includes 4 Bedrooms, 4 Full Baths, 2 Powder Rooms, an elevator and 2 car garage parking in Society Hill. The first floor offers a stunning open floor plan designed with entertaining in mind with 20 foot ceilings, a surround sound system and a Living Room with a stunning gas fireplace as the focal point. 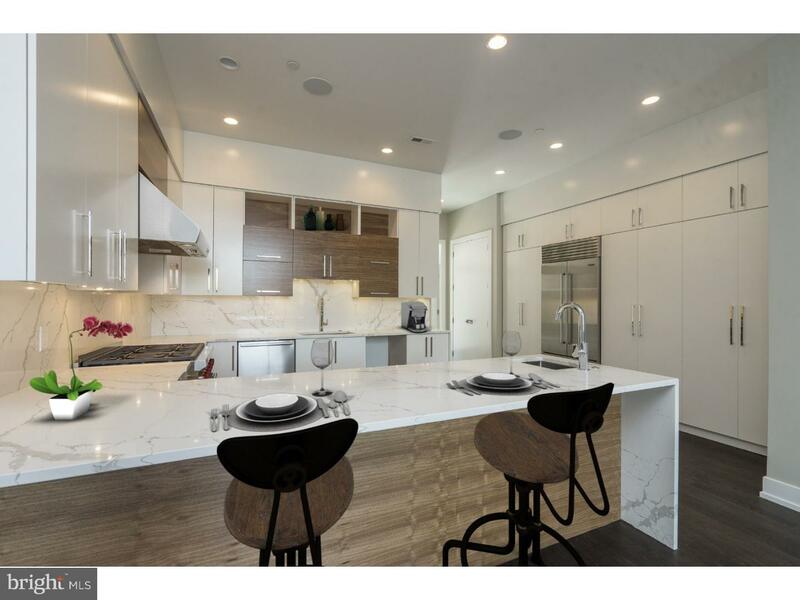 The professionally designed Chef's Kitchen showcases custom-built cabinetry, bar seating, stone counters, top of the line appliances, stainless floating hood, wall oven, microwave and features cove & under cabinet accent lighting and a beautiful glass backsplash. For your convenience there is access to your 2 car Garage off of the kitchen. Ascend to the second floor where you will find the Master Suite. This room boasts pure luxury with a private deck, two walk-in closets and a Spa-like Master Bath with an oversized shower (multiple shower heads), a freestanding soaking tub, heated floors, and a custom double vanity. The 3rd Floor features 2 large Bedrooms, two full en-suite baths, two walk in closets and a Laundry room with sink & counter space. Continue to the 4th floor where you will find an additional bedroom, full bath, an office/den and access to your second private deck. Last but not least, downstairs you will find the finished basement complete with Media room, Gym, a powder room and custom built wet bar. In addition to all of this you will enjoy elevator stops on every single floor, whole house audio, 3 zone HVAC, 2 alarm key pads, video intercom system and LED lighting throughout are just some of the intricate smart home features that are offered. Walking distance from many restaurants, bars, cafes, and the Delaware River Waterfront. 10 yr tax abatement pending. Please note, some photos have been digitally staged. Don't wait ? Schedule your showing today! Please check OPA for 2019 taxes due to possible citywide reassessment.